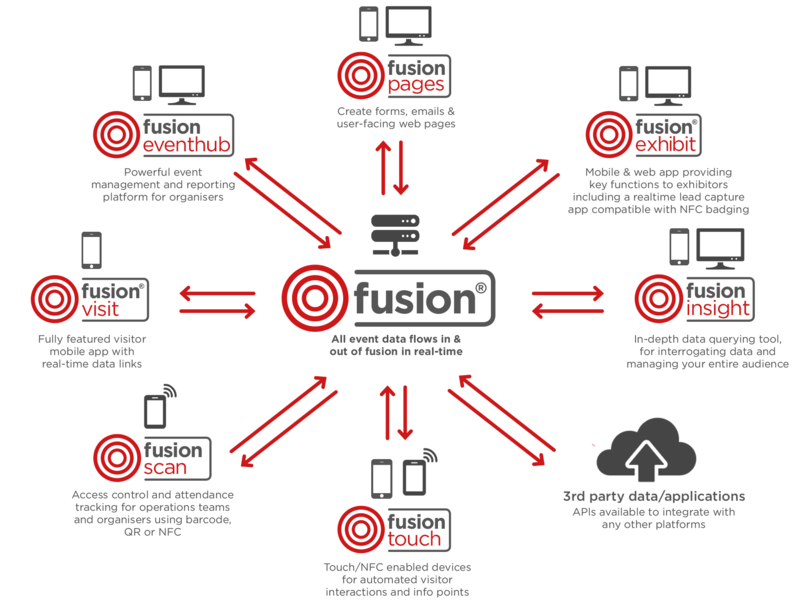 Fusion is the name of Circdata’s advanced event technology platform and database. Built with the event organiser in mind, not only does it offer everything you need to manage your event attendees, it includes integrated applications to drive visitor engagement, exhibitor ROI and rich event insight. Whatever the size of your event, Fusion has a solution to fit it.